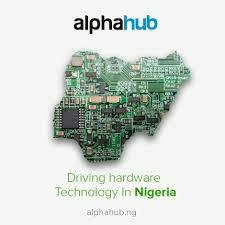 AlphaHUB is An Innovation centre, dedicated to drive research and development in Hardware and Embedded System Technology, has opened in Kaduna State (Northern Nigeria) to provide training, support and co-working space for budding entrepreneurs interested in the hardware development in Nigeria and Africa at large. The demand for software developers' jobs has continued to increase over the years, unfortunately developers aren't increasing in the same proportion. At AlphaHUB we are training high performing tech engineers to bridge the gap that currently exists both in Nigeria and Internationally. At AlphaHUB its all about convenience and work efficiency. If you need an office for your team or a desk to create at occasionally, our community is the right place for you. There are a lot of benefits you enjoy by being part of the AlphaHUB family.